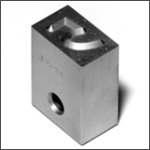 Gravure Industrielle LePage Inc. stocks and manufactures a wide variety of steel stamps and types. 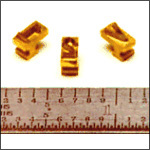 We can fabricate custom steel and brass type for indenting, embossing,and hot stamping applications. 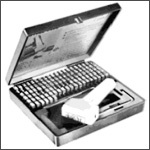 As well we produce precision steel and brass type for the packaging industry. 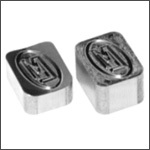 Custom steel hand stamps are also available: Inspectors, logo, multiple character, and special font, just to name a few. 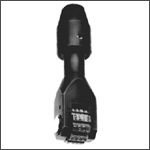 Inspection hammers are also available. 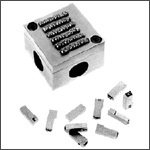 Stamp and type holders of all kinds can be made in our fully equipped machine shop. 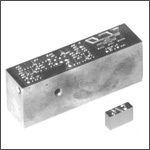 A specialty has been the production of stamps to mark curved objects. 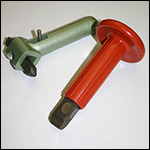 These can be cylindrical, spherical or of any general shape. 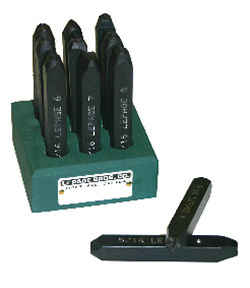 Items such as this marking block and insert are made to order based upon your specifications. Alpha numeric characters can be included, as well as custom logos. 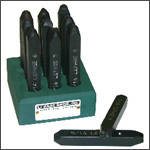 Marking wheel stamps are an efficient method of marking series of characters onto various objects. © 2009 Gravure Industrielle LePage. All rights reserved.